Whether it’s the beguiling grounds of your hotel or estate, a carefully mown playing field for your team, or merely the driveway that leads to your business location, taking care of your commercial garden is hugely important to any business owner. After all, the last thing you want is to see your carefully cultivated lawns, flowerbeds and trees eaten alive by insects or ravaged by disease or harmful weeds. 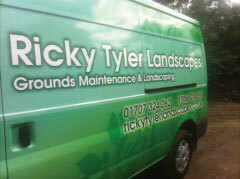 Here at Ricky Tyler Landscapes, we have been spraying commercial gardens for more than 10 years now. In that time, we’ve cured and prevented any potential threat to a garden's healthy growth you could name. Our team of experts will know exactly what the best spraying option for your property will be, so don’t worry if you are not 100% sure of what you need. We can quickly work out the most pressing risks that need to be eliminated and how to do so effectively. So, regardless of the kind of property you run, we’ll put together a bespoke maintenance package that will keep it fully protected. Every one of our operatives has been fully trained in spraying and holds a PA1 and PA6 Certificate. Plus our equipment is taken from the most cutting edge technology currently available. We use towable boom sprayers, allowing us to reach every nook and cranny of your garden, as well as hand-held knapsack sprayers, perfect for taking care of a smaller green space fast. We also use droplet applicators for controlled care. 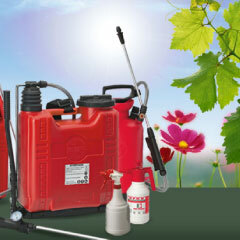 Whatever your garden needs, rest assured that we will have the tools to handle it. Ricky Tyler Landscapes spraying services offer complete weed control for hard, soft or gravel surfaces, giving up to 6 months of protection in a single spray. We can also offer selective weed control, disease control for your plants, trees and fine turf, grass growth control to keep your lawn even, insect, worm, moss and algae control and much, much more, from as little as £9.99 per treatment. So, if you want the best spraying service available, call our friendly team today. Ricky Tyler Landscapes can provide gardening and grounds maintenance services including Spraying covering London, Essex, Hertfordshire, Northampton, Buckinginghamshire & Bedfordshire .